Tags: Beer of The Month, Epic Brewing Co. When Epic Brewing Company announced plans to open a second location in Denver a few years back, we admit we were excited—and a little nervous. Of course, the possibilities for enhanced creativity by having a new large brew space had us giddy. On the other hand, would they forget about us? Would the Coloradans get all of the good stuff? 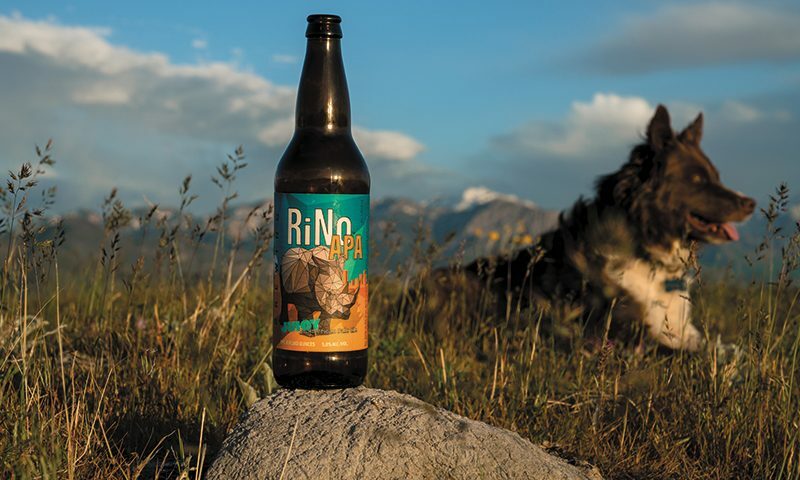 Epic produced RiNo APA, a beer named in honor of the River North District where the Colorado-based company is located. RiNo American Pale Ale is an upgraded version of a Pale Ale with the same name created during the launch of the Denver brewery. Learning the ropes by brewing New England–style IPAs, this APA showcases Epic’s growing abilities to deliver a juicy, hazy beer, while partaking in one of the fastest-growing beer styles in the world. With this new brew, Epic aims to deliver their promise of loyalty by showcasing something special and sharing it with us. Needless to say, Epic continues to do a great job of taking care of the community where their roots stem from. Description: A zap of citrus aroma strikes the air almost immediately after opening the properly chilled 12-oz. can. The brew pours like a bright apricot pulp that maximizes the haze factor, which makes it absolutely lovely to lay your eyes on. A completely white froth seems to pop on top then quickly retreats. Using late-addition Mosaic and Centennial hops to ramp up the juiciness, the scent offers hints of a tropical summer vacation and sweet citrusy sunshine. Grapefruit and illusions of banana bread present a pleasing medium body. 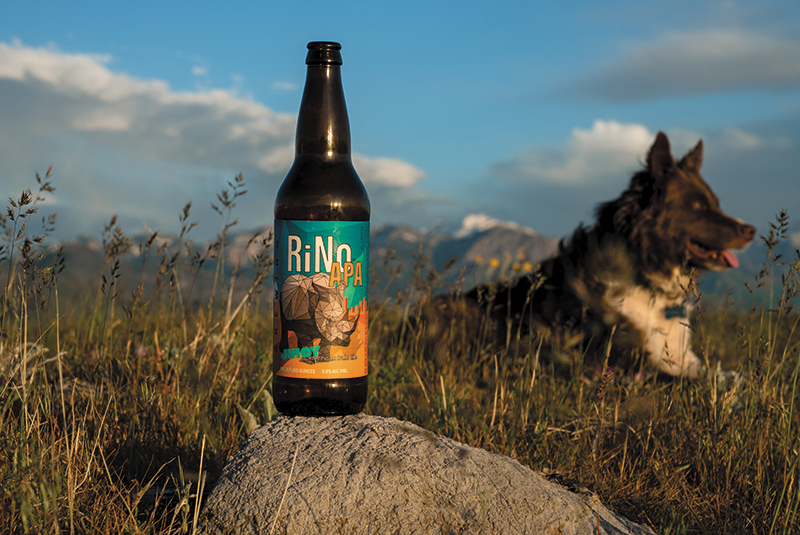 This reimagined American Pale Ale has a smooth and silky mouthfeel. It glides over the tongue with ease like a flowing river that has cascaded over smooth stones eroded over decades. As we set out to enjoy this delicious beverage, we are completely satisfied with the refreshing flavors that finish clean with minimal bitterness. Overview: Having visited the River North neighborhood (RiNo), and specifically Epic Brewing Company’s location, we understand the excitement the shot-callers at the brewery had when they decided to open a location there. “When we opened our brewery in 2013, the neighborhood was already buzzing with creative freedom, and we were instantly drawn to its infectious energy,” said Epic Co-founder Dave Cole. The area has become a hotspot for the craft beer community, with several surrounding brewhouses within walking distance of each other. We are happy Epic decided to take a chance and make these changes to a beer that has been around since the latest location opened. 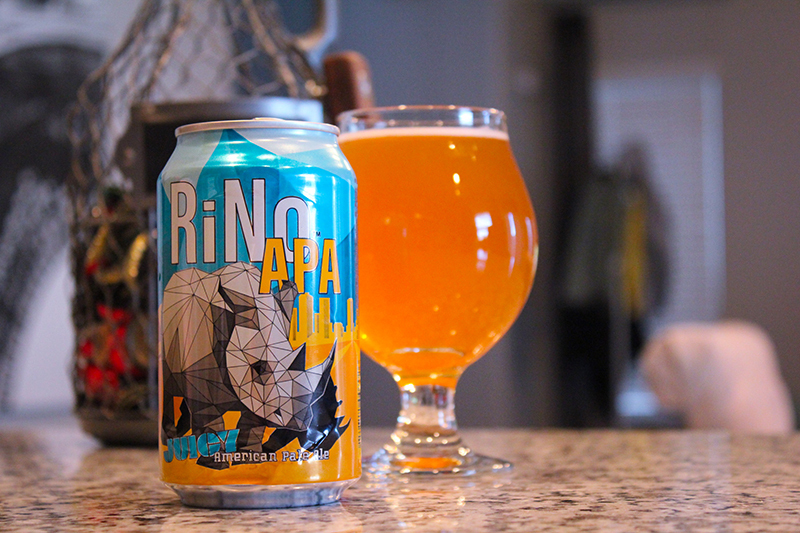 RiNo APA was fashioned to share the spirit of their new neighborhood by being creative and pushing the limits, while still maintaining friendly accessibility for us consumers. 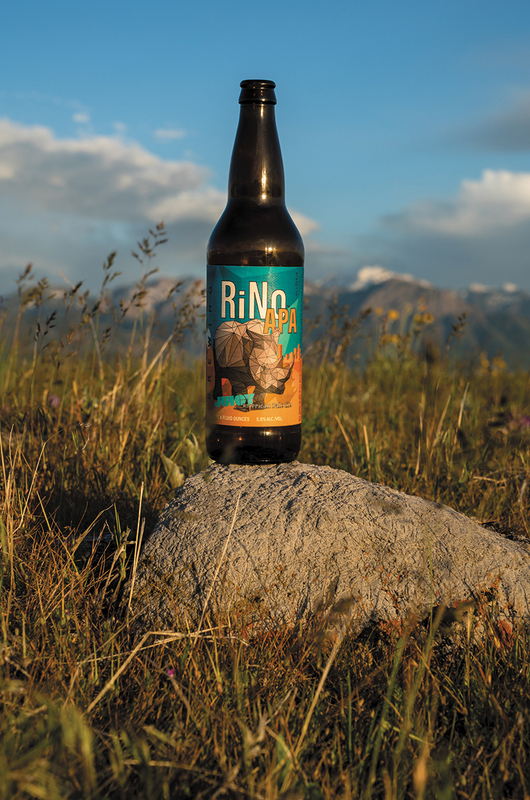 The beer has bold, welcoming flavors and is simply beautiful to look at. It was released in 22-ounce bottles earlier, but this offering is being distributed into our local liquor stores in 12-oz. cans with a design motivated by wall paintings from around the district. This is just in time for the hot summer days ahead where we can already see ourselves crushing these brews at a family BBQ or a camping trip down south. Regardless of when or where we enjoy them, we have to thank Epic Brewing Company for not forgetting about us!